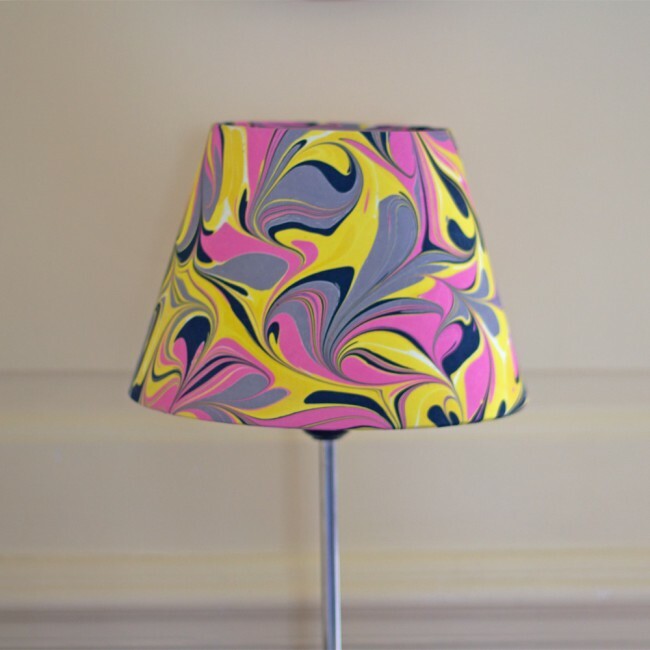 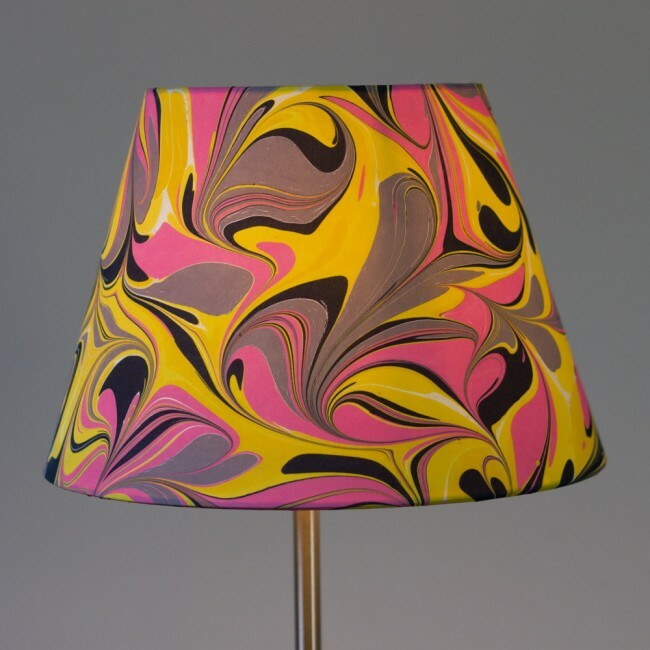 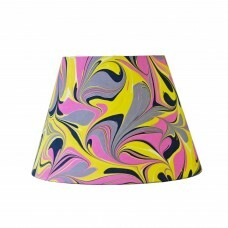 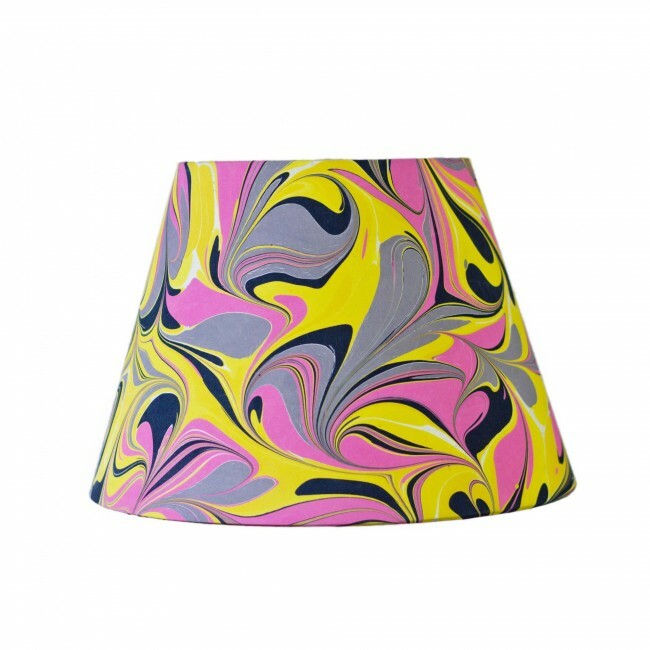 The Amalfi lampshade is a straight Emire shape in a mixture of pink, yellow, grey and navy colours. 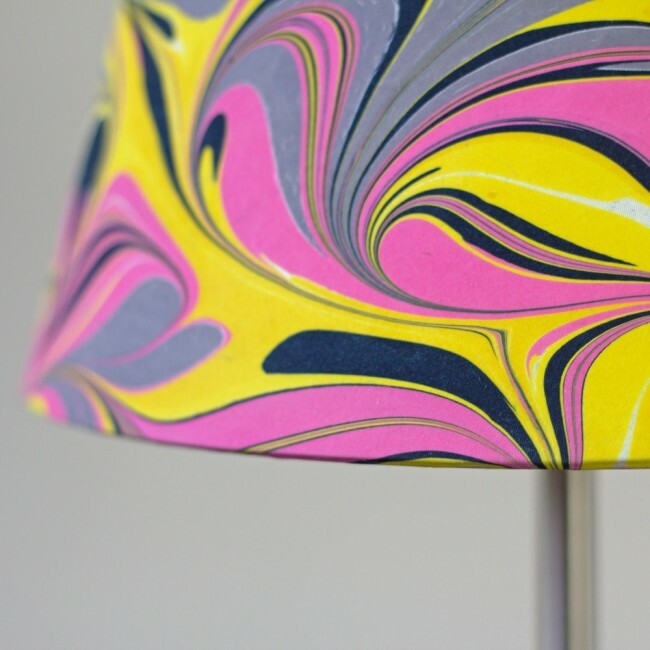 It is individually hand dyed onto 100% Habotai silk using a marbling technique and has a card backing. 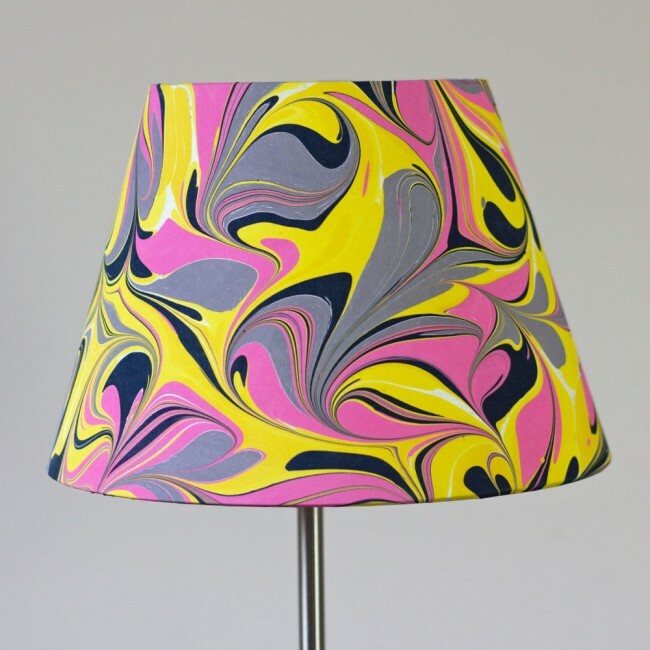 Different colourways, sizes, fittings and backings can be commissioned, please email us.